The 3am Teacher: WELL Happy MONDAY and FUZZY FREEBIES!! WELL Happy MONDAY and FUZZY FREEBIES!! Hey Everyone!! Happy Monday - I have a gift for you!!! Did you know that it is Valentine's Day this THURSDAY??? Where does the time go?? I think this year is disappearing much quicker than last year. Did you know that my B-day is also this month?? On the 23rd to be exact and I can't remember how old I am going to be... I guess it is irrelevant information anyway..hahaha I will have lots in store for you this month!! Well, I have been working on quite a few projects; including my newsletter that should be out by the 15th!!! Woo Hoo!!! My husband is currently watching a documentary of a Korean boy who grew up in Camp 14 in North Korea and I am absolutely mortified!! It is in subtitles, so excuse me if I temporarily skip around or seemingly have a ADHD moment of slight interruption of thought..haha This is so incredibly sad!! Enjoy my little freebie and have fun creating your own resources or V-Day messages!!! I have one more little somethin' somthin' to share with you before I let you go... 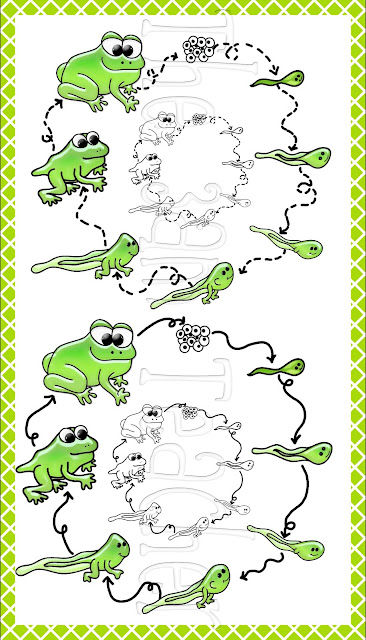 I have had my Frog Life-Cycle clip art finished since I posted my Butterfly Life-Cycle set (about a couple of months ago...geeezerz), but I just haven't had the time to create the preview and upload them.. I know, that sounds terrible. You might wonder how many finished sets I have finished that just need a preview.... MORE than I would like to admit..hahaha... I let them trickle their way in and surprise all of you. I actually had so many requests for these and decided that I REALLY needed to focus and get these cuties posted. 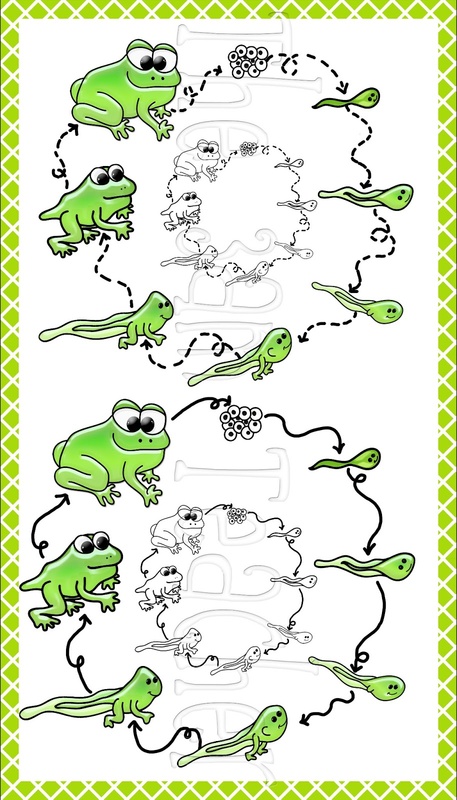 I have included 8 phases of the life-cycle of a frog, from tadpole to frog! I once had tadpoles in my classroom and they were so cute to watch grow!! 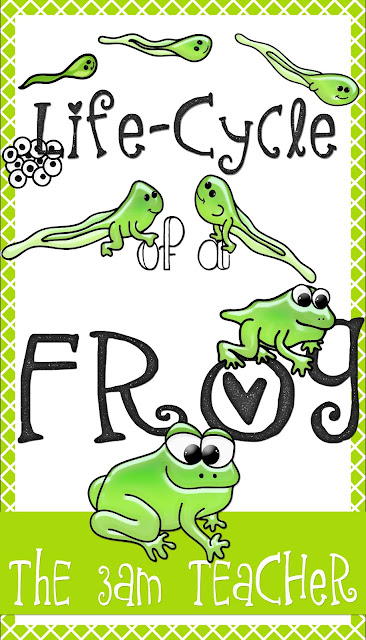 To celebrate the froggy arrival, I will be marking these down from $5.00 to $3.50 on TpT all week long!! Click on the image to check out my froggies on TpT. I can definitely relate to being tired! Thanks for all your freebies. I love your artwork!! Can't we all girlfriend?? hahaha. You are very welcome for the freebies!! I love being able to give them!! Thank you for all of your amazing products! I went crazy at your Etsy shop during your Super Bowl Sale! No more sad documentaries!!! Oh I love it Michelle. I am going to hop on over to TpT and get some froggie love!!!!!!!!!!!!!! You are so right about unplugging and talking with your people :0) We will never ever ever be sorry we unplugged and tuned into the people we love. I send you all kinds of love. Thanks for your freebies. You are amazing! Love Love the freebies! Thank you so much!!! My hubby is constantly complaining about how much time I spend on the computer, not talking to him! Although he just found a pinewood derby blog with a forum that he is now addicted to so at least now he kinda gets it. Hope your Valentines day is fun.